Marrying rustic charm with the sophistication of stunning materials, may we present to you the effortlessly chic Lodge Collection. 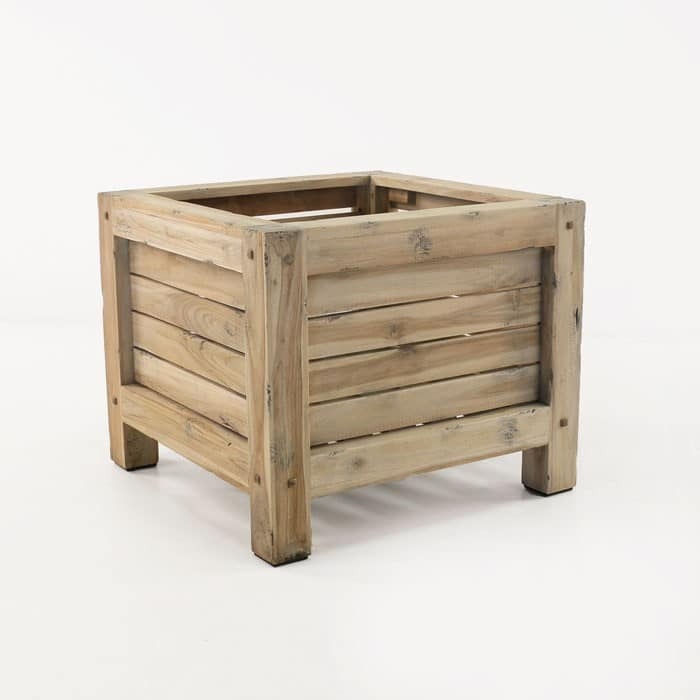 The Lodge Collection is made from distressed teak meaning each piece will be unique and have its own character. We use thick, boisterous cuts of Teak to build a solid, boxy frame and horizontal slats resulting in beautifully built, handcrafted furniture – not out of place in a lodge or chateau. Finishing off this sensational set is the addition of free Sunbrella® cushions filled with QuickDry® foam. 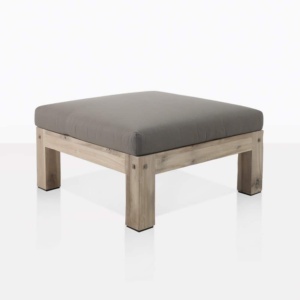 These are durable cushions that add the perfect amount of comfort. 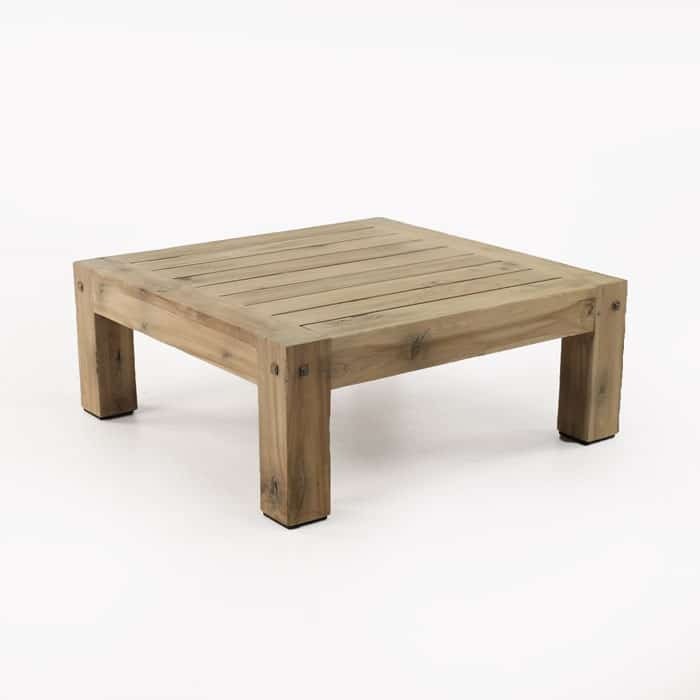 Teak is recognized as the top choice for outdoor furniture due to its high levels of natural rubber and oil, that means while the furniture looks amazing year round it also stays strong and weathers beautifully. Sunbrella® too is of the highest quality, being a through-dyed, UV treated fabric, we are proud to carry this recognized and celebrated brand, which ensures our clients get the best of the best of outdoor furniture. 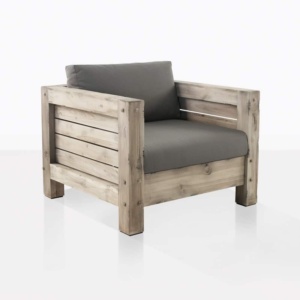 Design Warehouse are specialists in outdoor furniture. 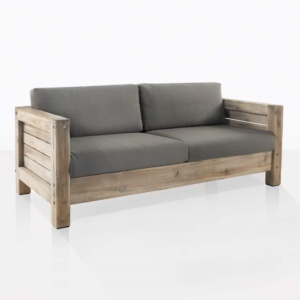 We carry a wide range of Grade A and Reclaimed Teak, Wicker, Concrete, Mesh, and metals all suitable for all weather! The Lodge Collection is exclusive to Design Warehouse. Call us today to order yours.